Following a Diploma in Fine & Applied Art at City Lit in London, Emma completed an MA in Ceramics at the University of Wales and later a City and Guilds in Stonemasonry at the City of Bath College. Since 1996 she has exhibited her sculptures throughtout Britain and exhibitions include The Fine Art Society, London, the RWA Bristol, West Wales Arts Centre, Fishguard and the On Form Exhibition at Asthall Manor. We are excited to be representing Emma at the Brian Sinfield Gallery. 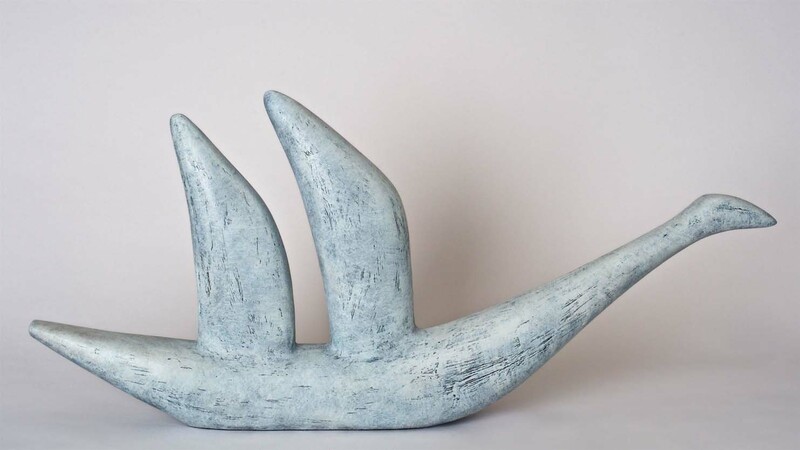 Over the past few years Emma has produced a theme of ‘birds’ in stone, but wanted to produce something peaceful, airy and beautiful, the result being these stunning bronzes 'Summer Bird' and 'Sail Bird' cast at the prestigious Castle Fine Art Foundry in Stroud.